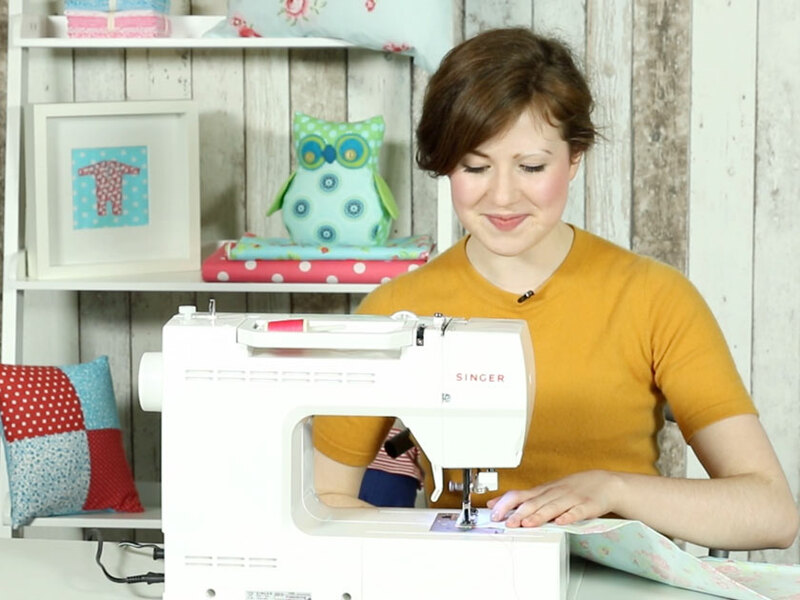 An envelope-backed cushion cover is a great beginner project to have a go at if you’re new to sewing and a quick and easy solution to brighten up your home. 1. Start by measuring the cushion pad itself. For the width of the cushion add 3cm for a seam allowance, so 48cm for a 45cm cushion. For the length, double this width and add 10cm to allow for the envelope overlap, so 106cm. 2. Transfer these measurements to your fabric using a ruler, dressmaker’s chalk and a setsquare to get an absolute right angle, and cut out the front cushion panel. 3. 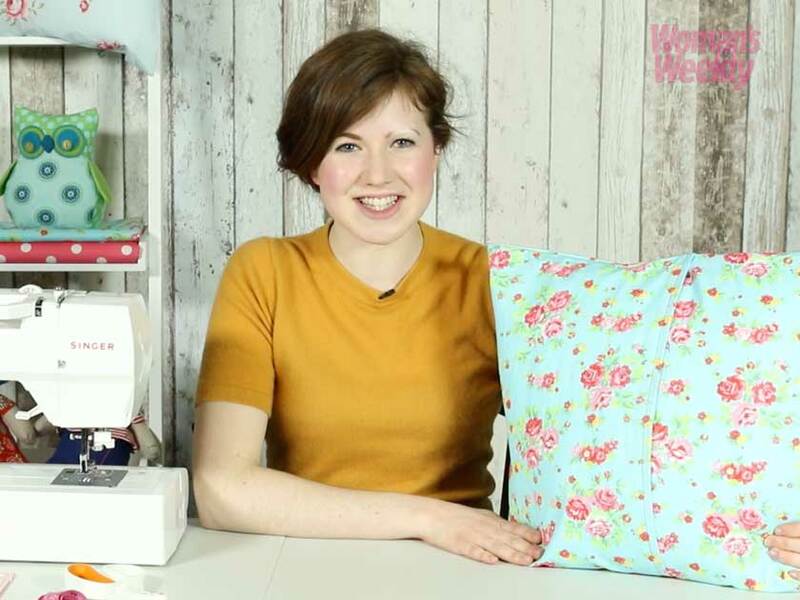 If you’re using a patterned fabric and want a motif to sit in the centre of the cushion face, first transfer the measurements to a piece of tracing paper before laying over the fabric so you can see the pattern underneath. Then pin the paper to the fabric and cut out. 4. At the two short ends of your fabric create a double hem as these will be the edges of your envelope opening. Fold the fabric over by 1.5cm and press, and then fold the fabric over the previous fold by another 1.5cm, press, pin and tack in place. 5. Using a sewing machine set to straight stitch to sew the hems on the right side of the fabric. 6. 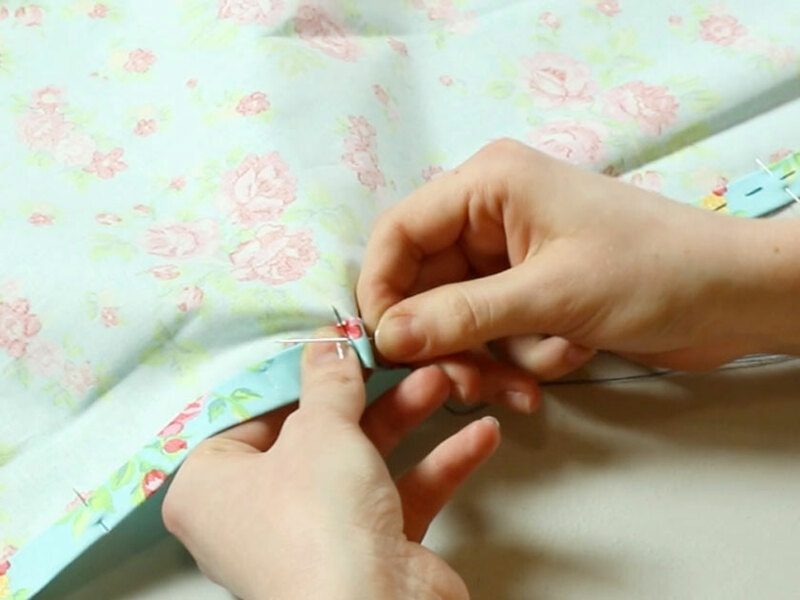 With right sides facing, pin and tack the cushion panel together, making sure to overlap the double hemmed edges by 10cm to create the envelope opening. Pin along the unsewn edges and tack together. 7. 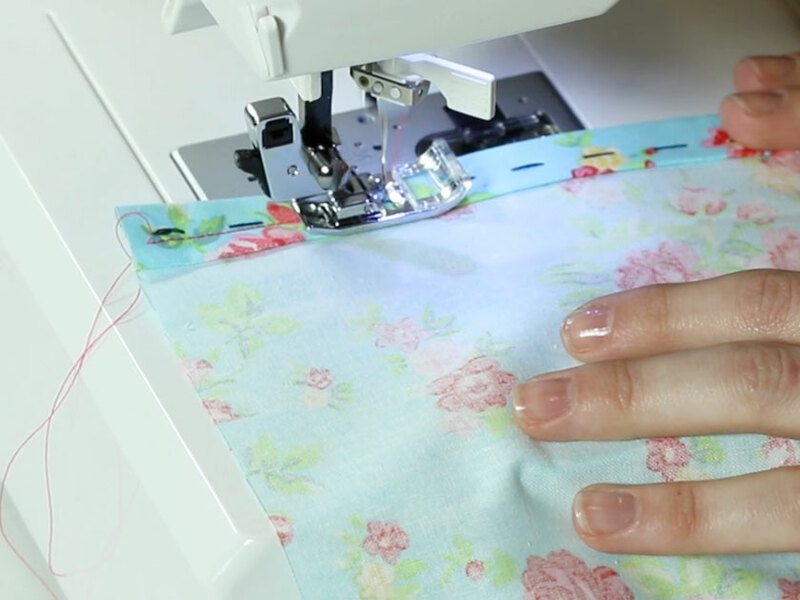 Using the same settings as before on your sewing machine, straight stitch the two tacked sides following the tacking stitches as a guide. 8. Clip the corners and turn the cushion cover right side out, pushing a closed pair of scissors into the corners to get a crisp point. Give the cover a final press before inserting the cushion pad.